I had a scheduled post about a little trip I took this weekend, but it will have to wait for a couple days. My friend Lana C. shared a link on Facebook this morning of the Dior in Miniature installation that was unveiled yesterday in China (apparently the first stop on a 12 stop tour). 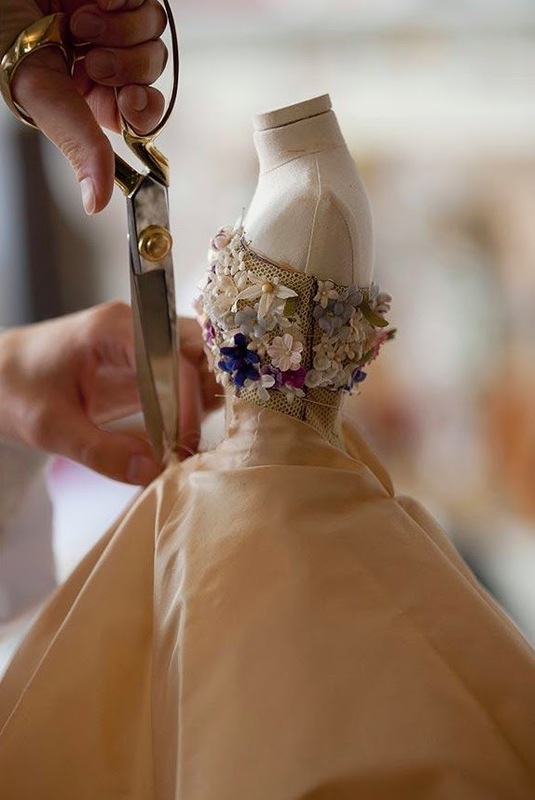 The installation is a "tribute to the meticulous handwork of the House of Dior Haute Couture ateliers whose talent is expressed in the miniature clothes that resemble the originals in every tiny detail". 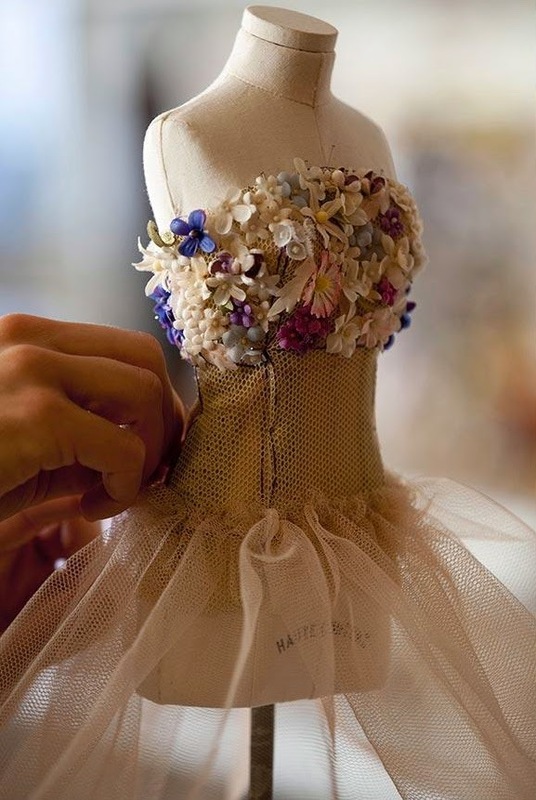 I have watched the two short videos found on the Dior site numerous times this morning, as the work of a master atelier is beyond imagination. 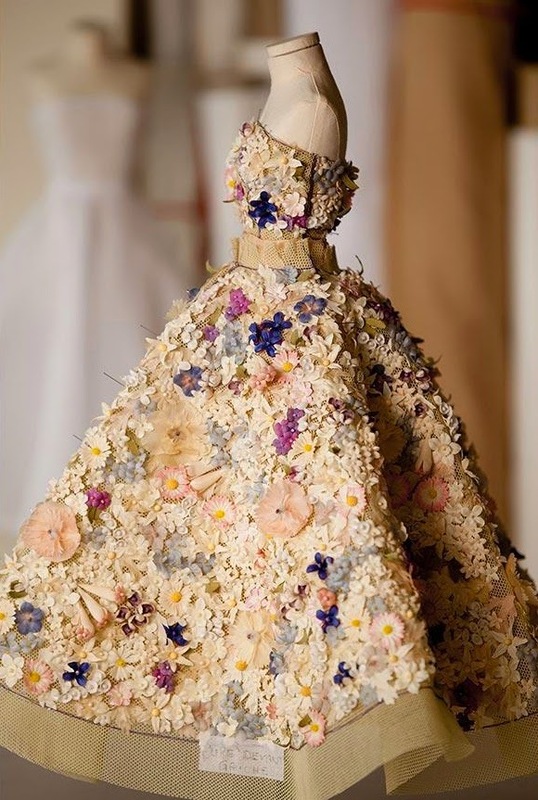 Each dress a beautifully detailed recreation of an original Dior gown, a masterpiece in miniature. Wouldn't you love to see the archives? I know I would. Please take the time to click on the link to the Dior website and watch the two short films (I really wish they were longer! )...remember, inspiration is everywhere. And one more link to a video that shows the installation - and many of the 60 dresses that were recreated. I am hoping this exhibit comes to the US so I can see it in person. Crossing my fingers there is a city on the west coast that deserves the honor of hosting it. We shall see. The full size dresses are some of the most beautiful I have ever seen. But the miniature replicas ? Exquisite ! Oh my! I was watching while on my lunch break and I just stopped eating with my mouth hanging open. I may or may not have stopped breathing. Amazing! Thanks for the inspiration Paula. A-MAZING; BEAUTIFUL (actually beyond beautiful) ... all that intricate work ... WOW !! Thanks for sharing this, how cool. This was be fun to see in person! Paula, thanks so much for sharing. I cannot imagine what it would be like to see it in real life but if the opportunity came up, I'm there! Unbelievable! Thanks for sharing the links Paula. This is jaw dropping gorgeous! Thanks for the links, spectacular!! Utterly stunning... Since I spend some of my time in miniatures world - this is a real treat! Word of the day is MAGIC!